If I'm ever lucky enough to open up my own shop, this is what I hope it would look like. 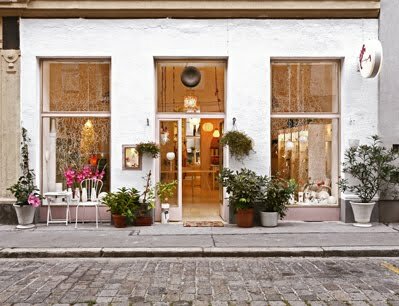 Large window panes allowing light to spill through, piles of potted plants and blooms out front, and a fresh white facade. So bright, airy and inviting.